For the first time in over four years, the UFC will crown a new light heavyweight champion. The massively talented and troubled Jon Jones was stripped of his title this past month, leaving the door wide open for a new champion to walk out of Las Vegas with the belt this weekend. 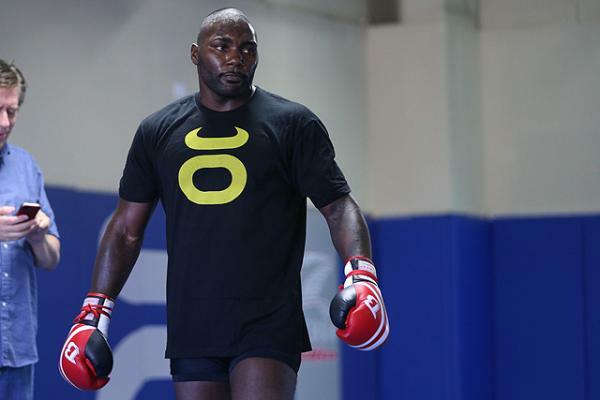 That’s exactly what title challengers Anthony “Rumble” Johnson and Daniel Cormier will look to do on Saturday. 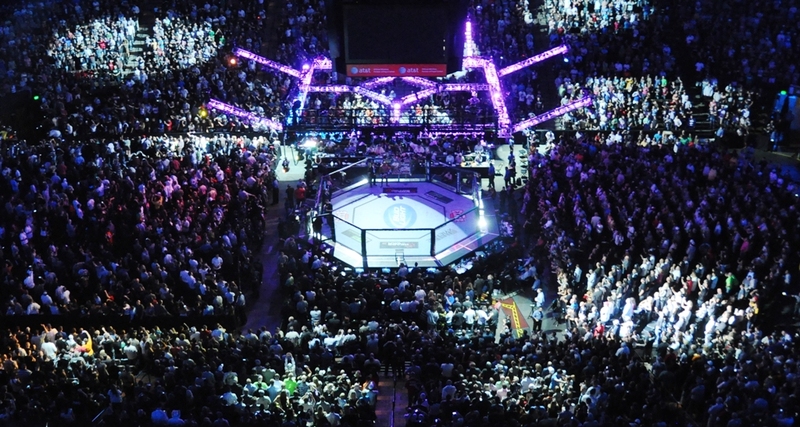 Luckily, the UFC decided that just one title fight wasn’t going to cut it this weekend. Even though we may not have the star power of Jones on the card anymore, the middleweight title co-headliner between Chris Weidman and Vitor Belfort more than makes up for it. The two elite 185-pound fighters have been circling each other for more than a year now, but the fight just hasn’t come together until now. Fight fans should expect some fireworks when these two actually step into the cage. The fun doesn’t stop with the two featured fights, however, as this card is stuffed full of fantastic match-ups on both the main and preliminary cards. Fan-favorite lightweight Donald Cerrone is set to make a claim to a 155-pound title shot if he can score a win over John Makdessi, and a quartet of flyweights seek to move into a title bout opposite Demetrious Johnson with an impressive performance this weekend. Throw in a rock’em, sock’em robots-style battle between heavyweight sluggers Travis Browne and Andrei Arlovski, and we’re looking at potentially one of the most entertaining cards of the year. The UFC heads to its base of operations in Las Vegas for UFC 187 this weekend, with a trio of preliminary fights kicking off the show on UFC Fight Pass at 6:30 p.m. ET. From there, the action moves over to Fox Sports 1 at 8 p.m. ET with four more prelims, including the return of flyweight contender John Dodson, before moving to pay-per-view at the usual 10 p.m. ET. Combat Press writers Sal DeRose and Vince Carey work on their divination skills as they break down the card in this edition of Toe-to-Toe. With Jon Jones facing an indefinite suspension and legal issues, the light heavyweight title is vacant. Now, Daniel Cormier gets another shot at the belt, this time against the surging Anthony “Rumble” Johnson. Will the result be any different for Cormier now that his opponent is not Jon Jones? DeRose: I keep changing my mind on this fight. I think both fighters have an even chance at winning. For all the reasons why Cormier could win this fight, there are equally as many reasons why Johnson gets his hand raised at the end. Cormier simply needs to use his Olympic-level wrestling to win the fight. Cormier will avoid Rumble’s striking like the plague. 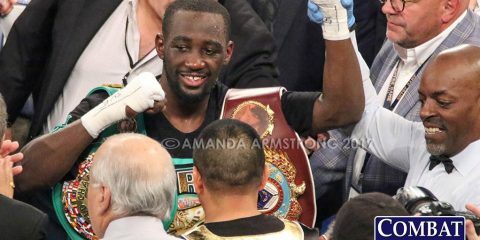 Johnson has some serious dynamite in his hands and can knock out anybody he so chooses if given the opportunity. Cormier can’t get hit in this fight and therefore must minimize the chance of Johnson connecting with any significant blows. Cormier can do this by putting Johnson on his back and testing Johnson’s longevity inside the Octagon. Dan Henderson is the closest opponent from Cormier’s UFC tenure to which Johnson can be compared. Henderson has classic power, which made him very dangerous for Cormier, but Cormier was able to toss Henderson around like it was nothing. Johnson certainly is different from Henderson, though. Rumble has a tremendous amount of strength and his power is really remarkable. Johnson destroyed Alexander Gustafsson in Sweden, which is something many people probably didn’t see coming if they weren’t already on the Rumble hype train. 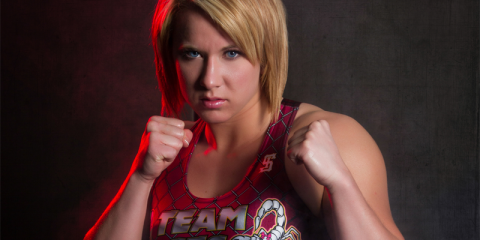 Johnson needs to be aggressive in this fight, but not be overly aggressive. If he gets too close or lets Cormier get into range, Johnson could find himself on his back very quickly and looking at the wrong side of a unanimous decision from the judges. Johnson needs to find an opening on Cormier and land the power shot. Johnson is no joke fighting off the takedown, and if he can stuff takedowns early, it might turn into a brief night for Cormier. 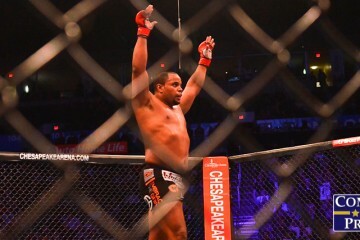 However, Cormier certainly has been grinding in the gym since his devastating loss to Jones at the beginning of the year. It was Cormier’s first loss, and my bet is that he learned from the experience and became a better fighter. It comes down to whether Cormier can get the takedown and use his wrestling to neutralize Johnson’s power. He will, and it will allow Cormier to take the decision victory. Carey: There was a time where Rumble and UFC gold couldn’t have been further apart. That is a thing of the past, though. After Johnson completely reshaped his career at 205 pounds, I’m terrified that I’m picking against him this weekend. My colleague already mentioned Johnson’s shocking win over Gustafsson earlier this year, and that stoppage, along with his first-round destruction of Antonio Rogerio Nogueira, helped remind fans just how devastating Rumble can be when he lays his hands on his opponent. 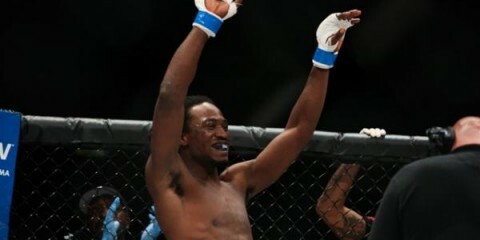 However, the most complete performance Johnson has had since his return to the UFC was his three-round dismantling of Phil Davis where Rumble showed off his improved takedown defense and conditioning after struggling with those things in his first UFC run. The victory over Davis was only a small shock to some fight fans, but it’s the way Rumble picked the former NCAA champion wrestler apart that showed off just how much better he is at light heavyweight than he was while fighting at welterweight. While Davis’s MMA wrestling was never quite as dominant as one would expect from his amateur credentials, he’s exactly the type of grind-it-out fighter who had feasted on Rumble in the past. Yet, Johnson stopped every one of the Penn State wrestler’s takedowns and dominated Davis more thoroughly than anyone during “Mr. 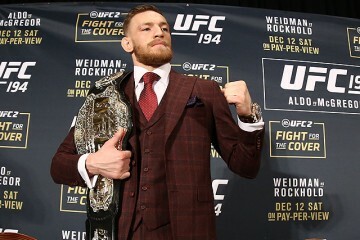 Wonderful’s” long UFC career. With his shutdown of the takedowns from Davis, Rumble proved he is ready for the top of the heap. However, it will be a bit more difficult for Johnson to stop an Olympic-caliber wrestler like Cormier, due to the size and strength of the former heavyweight. Cormier tends to toss people around with ease, especially those without strong wrestling backgrounds. While Rumble has improved to the point that “DC” is going to have to strain for each takedown, Cormier’s still going to be able to close the distance and put enough pressure on Johnson to grind him out. Actually getting Rumble to the ground and keeping him there is going to be a tough task, but Cormier is extremely good at controlling his opponents against the fence and tying up their hands and arms in order to avoid punches while also wearing them down. We saw an improved gas tank from Rumble in the Davis fight, but that was a fight where he was winning and setting the pace. Johnson might not be able to handle Cormier looking to grind him out for 25 minutes without running his gas tank dry. 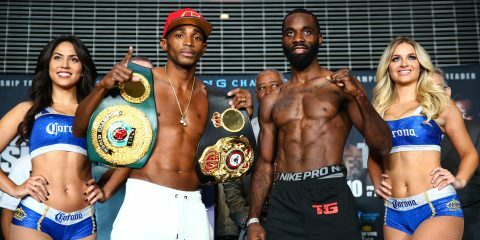 Johnson’s power allows him to end this fight at any time, but the outcome of this fight will depend on whether “DC” can shut down Rumble early. I like Cormier to earn a late stoppage. After several reschedulings, Chris Weidman is finally set to defend his title against Vitor Belfort. Will this be the same dangerous Belfort that destroyed his opponents throughout 2013? How likely is it that we see the Brazilian emerge with the title? 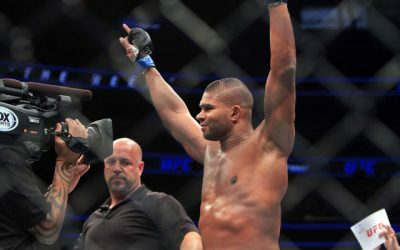 Carey: It’s easy to see why Weidman fans would feel good about this weekend after watching “The All American” take out Hall of Fame-caliber strikers Anderson Silva and Lyoto Machida in his last few outings, but Belfort is equally skilled, and possibly even more dangerous than his Brazilian counterparts. Belfort will bring a very different mindset to the cage on Saturday. While both Silva and Machida are more than willing to bide a little time and attempt to goad their opponent into mistakes on the feet, Belfort is more of a charge-forward-and-try-to-rip-this-guy’s-head-off kind of fighter. No one in the UFC is more dangerous in the opening five minutes than “The Phenom,” who has earned four of his last five victories by stoppage inside the first round. Belfort’s aggressiveness may force Weidman to be a little more cautious and defensive than he’s been early on in his title reign, at least for the first few minutes. However, there’s a huge question mark surrounding Belfort that will play a major factor in deciding the outcome of this fight: this will be Belfort’s first outing in quite some time where he won’t be allowed to use testosterone-replacement therapy (TRT) heading into the bout. While it’s impossible to gauge exactly how much good TRT was doing for “The Phenom” over the course of his last few bouts, there’s no denying that Belfort, at age 35, looked better than ever while he was using the now banned substance. If Belfort can fight like the guy who was head-kicking everyone in his general direction a few years ago, this will be interesting. But there’s definitely some doubt as to whether he’ll be able to keep it up without the TRT. If that doubt turns out to be warranted, Belfort is going to be in serious danger of getting run over by Weidman. Whether this fight ends up living up to its potential will depend on if the Belfort of 2013 can show up and make things interesting, but regardless of which version of “The Phenom” shows up on Saturday, the champion will retain his belt. After beating two of the best strikers in the world in his last two fights, Weidman has instilled faith in his ability to hang on the feet with anyone in the division at this point. His ability to get Belfort to the mat if he runs into trouble will be crucial as well. There’s no guarantee of a finish for Weidman, but he will pull out the win this weekend and continue to prove he’s the best 185er in the world. DeRose: Here’s a little dose of reality: the Belfort we have seen in the last few fights is probably gone. Without TRT, he will most likely be a different fighter than we have seen lately. I’m not saying he won’t be any good, nor am I trying to disparage his skills. Belfort is still an enormously dangerous fighter, but the power he displayed in those last few fights will most likely be lowered a tad. Belfort needs to do something the aforementioned Silva couldn’t do in his two matches with Weidman. He needs to land the knockout blow. Furthermore, he must stop the takedowns that Weidman may look to utilize in order to limit Belfort’s avenues of victory to a longshot submission. Belfort has come very close to completing the Hail Mary submission. In his fight with Jon Jones, he had a deep armbar on the former champ, but he couldn’t complete it. Weidman is training under the likes of skilled grappler Matt Serra, though, and he most likely won’t make an egregious mistake and allow Belfort the opportunity. Let’s look at it this way: if we were to rank the possibility of Belfort snagging the title from Weidman on a scale of highly unlikely to highly likely, the answer would probably land on unlikely. There is a slight chance for the Brazilian, but it’s improbable that he takes the fight. Belfort has the rare mixture of speed and power to make him incredibly dangerous, and to count him out seems a bit hasty. Machida couldn’t beat Weidman. Silva had two chances and was looking at a third before his failed drug test, and he couldn’t beat Weidman either. Belfort will be the third Brazilian to face the champ. If you were to give me these three names after Weidman had defeated Silva the second time and asked who is the most likely to beat Weidman, I probably would not have guessed Belfort first or second. It’s all about the knockout blow for Belfort. However, if his predecessors couldn’t do it — and they have much better striking than a TRT-less Belfort — it’s probably unlikely Belfort has the key. Weidman will display a good striking defense and mix up his own strikes to set up the takedown. Weidman will defeat Belfort either by a mid-round TKO or a decision victory. Third-ranked lightweight Donald Cerrone was originally set to fight second-ranked Khabib Nurmagomedov for the next shot at the 155-pound strap this weekend, but an injury to Nurmagomedov forced the Dagestani fighter from the card. Now set to fight Canadian striker John Makdessi, can Cerrone still find a way to get himself into a title fight with a win this weekend? And if he does, how will he fare against new champ Rafael dos Anjos, who beat “Cowboy” by decision a couple of years ago? DeRose: The result for Cerrone against dos Anjos won’t change. The champion has certainly grown since their fight. Cerrone, too, has certainly grown, but dos Anjos would still use his wrestling to grind out Cerrone. That being said, the UFC would be doing right by Cerrone to give him a title shot if he beats Makdessi. The UFC can’t keep waiting for Nurmagomedov. He will try to talk himself into returning against Cerrone to get his title shot, but the UFC should give the shot to Cerrone if he wins this fight. Cerrone has battled through a ton of fights and has helped to add hype to a lot of cards, all in the span of five months this year. It’s only right to reward him with the title bid for his activity and willingness to fight. Makdessi is a good fighter, but he has yet to face an opponent of Cerrone’s caliber. Makdessi’s biggest win came against Daron Cruickshank two years ago. 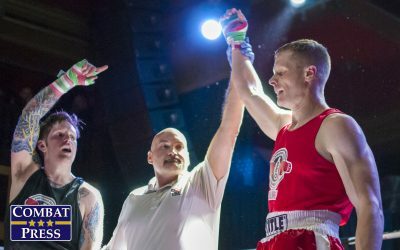 The 30-year-old is also coming off a TKO victory over Shane Campbell just a month ago, so the quick turnaround could hurt him. Makdessi needs to land something big to beat Cerrone, who will enjoy a nice five-inch reach advantage. That means Makdessi will have to walk through some punches to get inside on Cerrone, but avoid clinching with the Jackson’s MMA product. If Cerrone gets Makdessi in the clinch, Makdessi is going to be in a lot of trouble. Cerrone’s usage of just about every strike available — knees, kicks, elbows and punches — will put Makdessi out. Cerrone has been on fire lately. Including a fight with Benson Henderson which Cerrone arguably should have lost, “Cowboy” has won seven straight. Cerrone takes this fight, winning the striking battle and either ending the fight early or taking a decision nod. Most likely, this goes to the scorecards. Carey: First things first, Cerrone has to get past Makdessi this weekend if he even wants to be considered for a title fight. Nine times out of 10, I’d be as close to 100 percent confident as I could be in Cerrone against Makdessi, even though the Canadian’s skills are slightly underrated. However, Cerrone has had some major problems dealing with the pressure of big-time UFC match-ups since entering the Octagon. With a title shot on the line, it’s going to be extremely important that he has his head on straight this weekend. I’m still expecting “Cowboy” to roll through Makdessi and earn a stoppage win on Saturday, but the pressure of a possible title fight has thwarted Cerrone before. Of course, there’s a reason there’s going to be so much pressure on Cerrone. It almost feels like a foregone conclusion that he gets the next shot at dos Anjos with a win. 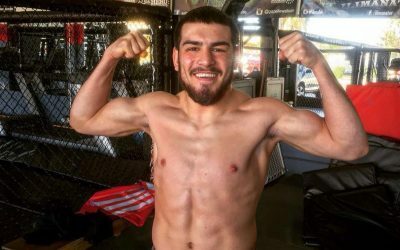 Nurmagomedov is far and away the top contender to the 155-pound crown, but he’s not going to be healthy any time soon and the UFC can’t afford to keep waiting on the oft-injured fighter. Throw in the fact that Anthony Pettis is also injured and the guys under Cerrone are still at least another win or two from a title fight, and it’s pretty obvious what “Cowboy” will be fighting for this weekend. As far as an actual rematch with dos Anjos is concerned, I have to agree with my colleague. Cerrone’s luck won’t change with a second shot at RDA. “Cowboy’s” takedown defense has definitely improved over the years and he’s crafty as hell off his back, but the same things could have been said about Pettis before dos Anjos ran through him this March. It’s going to take someone with elite grappling to either shut down a dos Anjos takedown attack or start a takedown onslaught of their own in order to beat the new champ. Cerrone just isn’t the guy to do it. There are two flyweight fights on this card that could potentially tell us a lot about the future title challengers at 125 pounds. In one match, you have two guys — Joseph Benavidez and John Moraga — who have already earned a shot at champion Demetrious Johnson. In the other, there is John Dodson, who was Johnson’s toughest test as champion, returning from injury against a fresh face in Zach Makovsky. Do any of these guys pose a legitimate threat to the champion? With wins, do any of the previous challengers even get a rematch with Johnson? Carey: One of these four guys will definitely fight “Mighty Mouse” following this weekend, and I have a good feeling that Dodson will be the one that gets the nod. As good as Benavidez may be, his two title losses to Johnson have him stuck in limbo as he’s forced to watch guys ranked below him leapfrog over him time and time again to get title fights. That’s going to be his fate for the near future. He’s easily either the second- or third-best guy in the division, depending on how you feel about Dodson, but even a win over a tough top-fiver like Moraga isn’t going to be enough to erase the quick knockout loss that the champ handed to Benavidez the last time he fought for a belt. 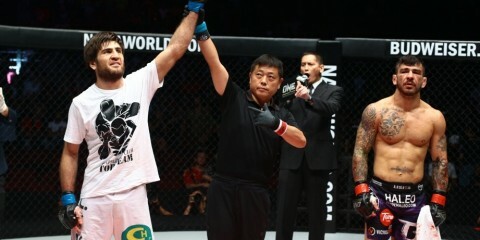 Fans and the UFC brass both need a little more time to forget about the disappointing performance before awarding the Team Alpha Male veteran another shot at gold, but I do like him to beat Moraga in an absolutely insane fight and strengthen his case a bit. Dodson has been considered the biggest threat to Johnson’s title for a while now, and it almost seemed like fight fans and the UFC were waiting for The Ultimate Fighter 14 winner to get healthy and be the next guy to truly give “Mighty Mouse” a run for his money. Dodson is one of the few guys in the division who is fast enough to hang with Johnson in the speed department, and his grappling is better than many realize. Dodson has power in his hands that the champion can only dream about. If he can rebound from an ACL injury this weekend and take out a crafty grappler in Makovsky as he’s expected to do, there’s going to be no denying Dodson a second crack at the title. Honestly, it’s the flyweight fight everyone wants to see anyway. 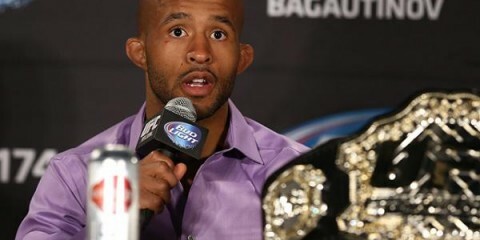 I’m not sure if anyone can beat “Mighty Mouse” at the moment, but Dodson has a better shot than most. I’d love to see him give it another go after this weekend. DeRose: Yes, Dodson will most likely get the next shot at Johnson, provided Dodson can successfully dispatch Makovsky this weekend. Dodson was certainly the most entertaining of Johnson’s title defenses and has arguably given the champ his toughest defense to date. Dodson is part of a growing list of fighters we have discussed lately who are coming off of knee injuries. The list, which includes Khabib Nurmagomedov and Julianna Pena, seems to be unfortunately long. We’ll also be talking about another name on that list soon — heavyweight champion Cain Velasquez, who is returning in a couple weeks. 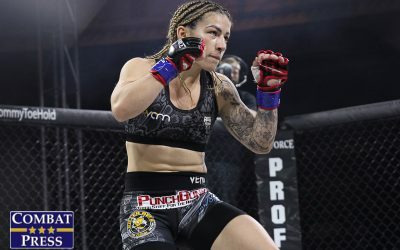 Pena was able to come back and look really dominant in her return. Former bantamweight champion Dominick Cruz did the same and looked dominant before re-injuring himself. Can Dodson post a similarly impressive return? Dodson relies heavily on his quick movements to make him such a tough fighter to beat. If Cruz didn’t come back and display his same typical dominance from his movement, it would cast some doubt on Dodson’s own prospects. However, Cruz’s immediate success is an encouraging sign for Dodson supporters. He should come back at the same level, or close to it. The other guy with a chance would be Moraga. Yes, he already lost to Johnson, but he could certainly wrap up a title shot if he is able to beat perennial contender Benavidez. 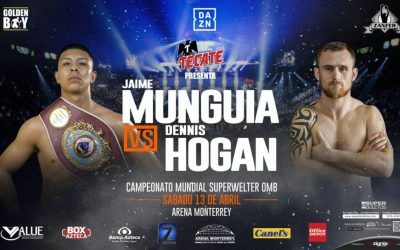 The victory over Benavidez, one of the best flyweights on the planet, would give Moraga a three-fight winning streak. You also can’t put it past the UFC to give a fresh face the title shot either if Makovsky gets a win this weekend. If Dodson isn’t up to par and comes in at less than full speed, Makovsky could certainly work out a decision victory by outpointing Dodson. Makovsky is five inches taller and has about an inch in reach on Dodson. DeRose: We’ve just discussed them at length, but Dodson and Makovsky form this card’s sleeper pairing. Dodson is a crazy fighter to watch in any capacity. He brings a tremendous amount of speed and is always involved in a high-paced fight that tests his opponents. Makovsky is no slouch, either. He made his bones in Bellator and came over to the UFC to drop down to flyweight. He has been tremendous in his tenure. Makovsky is coming off of a big win over Tim Elliott, and a victory over somebody as significant as Dodson could vault him into a title shot, since Johnson has effectively beat most of the other top contenders at 125 pounds. Carey: With two title fights on the card, just about everything else could be considered to be a sleeper fight. I’ll turn my attention to the other major flyweight match-up between Benavidez and Moraga. We already discussed this fight, but I never really mentioned how awesome it could be. Benavidez is a tremendous test for anyone, but Moraga is an animal. Moraga is one of those fighters who isn’t afraid to get himself into some hairy situations if it means he can do some damage. I’m expecting a little more of a barnburner, as opposed to the usual technical display put on by flyweights. If these two deliver a brawl, it may end up being one of the most fast and furious battles of the year. Carey: Some food, some drinks and a whole mess of friends. This card kicks off a pretty strong bunch of pay-per-view outings that the UFC has scheduled for this summer, and from top to bottom it may easily end up being one of the strongest cards we get all year. So, this is one that’s worth getting the crew together and having a good time. The losses of Jon Jones and Khabib Nurmagomedov definitely hurt this card over the past month, but it’s still a really solid offering and worth the $50-$60 you’ll shell out for the fights. DeRose: Something to help you focus throughout the night. This card is stacked from the first prelim to the main event. UFC 187 is definitely worth the price of admission. I could really care less about losing Jones and Nurmagomedov when looking to purchase this pay-per-view. It still has a lot of fun fights. There’s a lot of change in the divisions that could happen — flyweight has three separate fights on the card, there are the two title fights and then a mess of contenders on both the women’s and men’s side. So, get your meditation on, play a little video games, listen to music, whatever inevitably helps you key on this card so you don’t miss some highly impactful fights.